After a short flight from London (I did nothing other than stare at my hands and give myself a tension headache), we finally arrived in the South of France. Hurray! We’ve been waiting to visit the French Riviera for a long time. Our trip was split into two parts. The first half being spent in the countryside outside Cannes, in a small village called Mougins. The second part was on the coast, in a medieval town called Eze, where we stayed at the magnificent Chateau de la Chèvre d’Or. 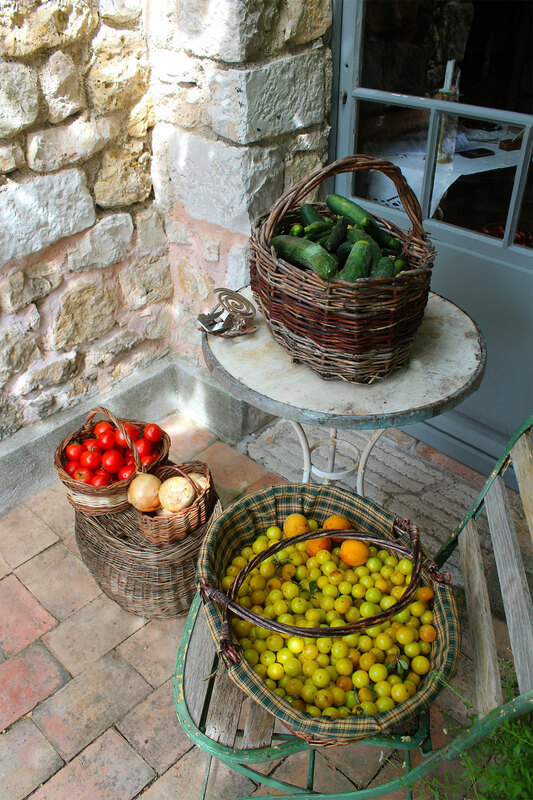 I was so excited about this second hotel that I hadn’t given much thought to the first hotel in Mougins – a boutique hotel called Les Rosees. However, when we eventually arrived outside the hotel, after cautiously climbing a tiny windy road, I was thrilled. This hotel is beautiful. 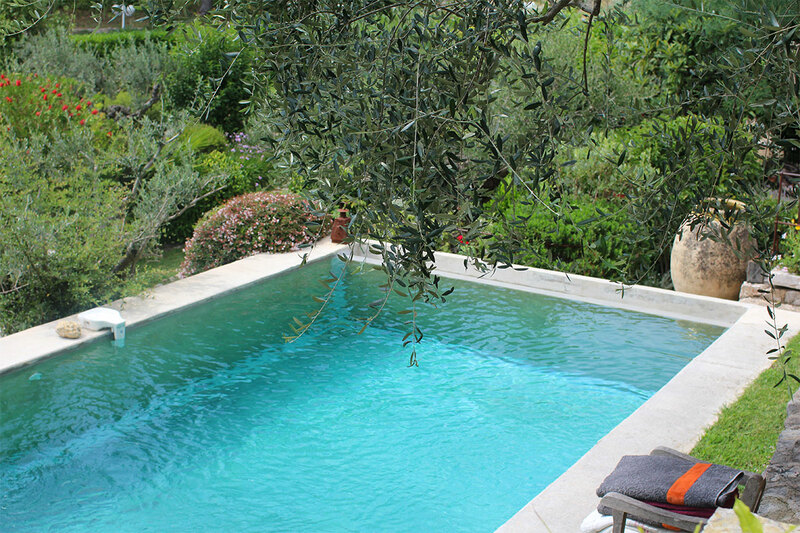 Les Rosees is a four hundred year old house, with just five individual suites. The house is surrounded by mature, beautiful gardens, filled with roses, lavender and honeysuckle. It has a beautiful deep pool (which we had all to ourselves most of the time) and a large tub. The house itself is unimaginably beautiful. The attention to detail is incredible; with flowers, trinkets, bright colours and artwork everywhere. 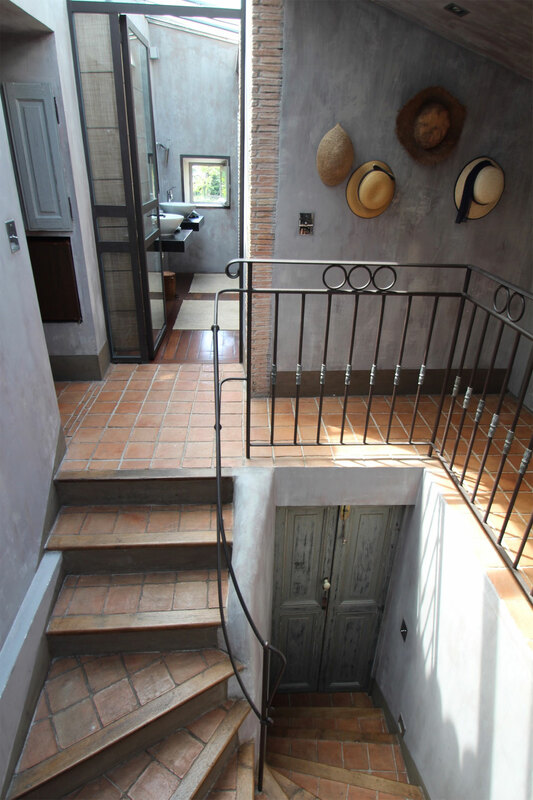 Our suite, ‘Serguey’ was on the top floor, sitting in the cool and spacious eaves of the house. With a sitting room area, enormous double bed and light-filled bathroom, it was a beautiful place to stay and was decorated in a dusky lavender blue, which fitted beautifully with the surrounding gardens. All food served here was organic and homegrown. You could witness the chef harvesting the vegetables from the small patch each morning, in readiness for dinner that night. Even the honey that was served at breakfast came from little bees that lived down the road! 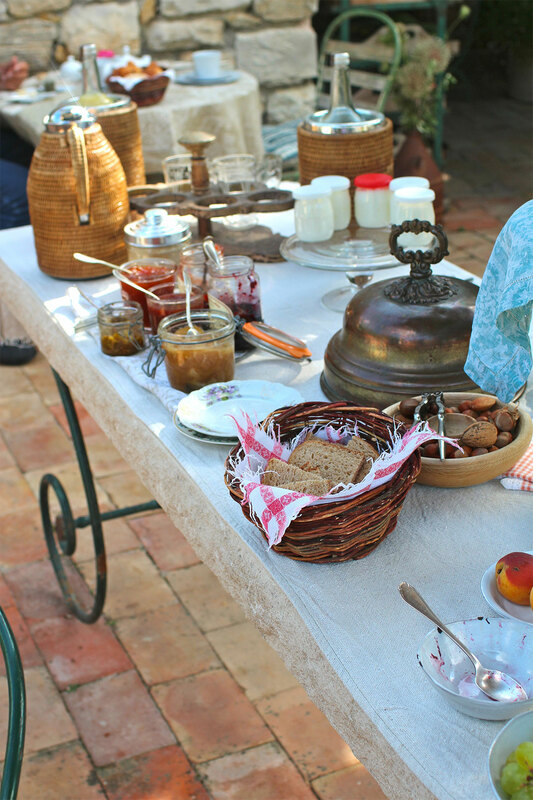 Throughout the day, the smell of cooking from the kitchen filled the house and the garden, bringing an incredibly homely and comforting feel to the place. Come evening time, the staff filled the house and gardens with candles. For someone who loves candles, even I was impressed by just how many there were. They were scattered everywhere; small flickering lights that filled the evening. 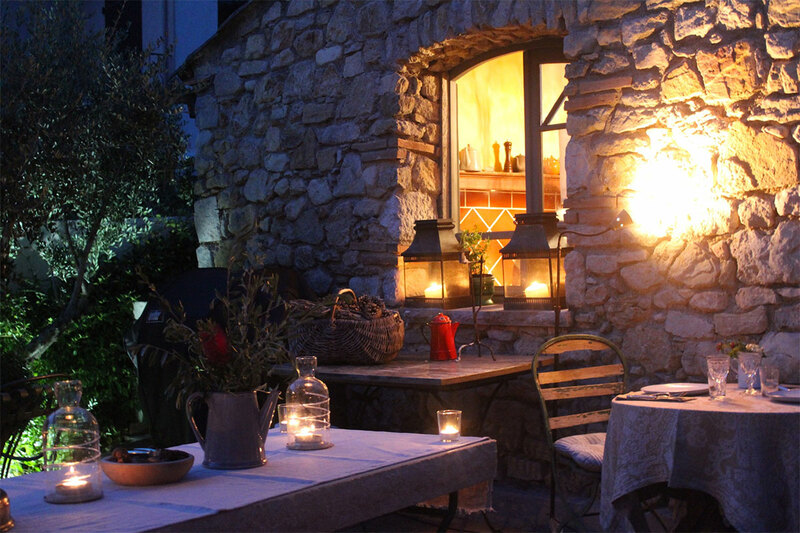 We ate outside each night, surrounded by all this loveliness and hoping never to go home. The hotel is well-situated on the Cote d’Azur. You’re just 10 minutes from Cannes and Antibes, and all the medieval villages of this area are a 20 minute car journey away. This is certainly the best boutique hotel I have stayed in and would recommended it to anyone looking to enjoy the quieter side of the Cote d’Azur. A truly gorgeous place. "Like Rome? Like tea? Like cats? Say No More…." "The Château de La Chèvre d’Or"